IDC released a report Wednesday, the third quarter of this year, Apple’s Mac worldwide shipments surge again, and this making the company ranks among global PC shipments in the top five the first time in history. In the past, Apple’s shipments has been ranked the top five in the North American market. However, for low-cost Windows PC as the mainly consumer goods global market, Apple is the first among the five. IDC believes, Mac shipments global growth in the third quarter mainly due to “back to school season,” stimulate and drive. Students are more willing to buy MacBook Air and MacBook Pro, Mac in some way become a symbol of the elite. According to data released by IDC, Mac worldwide shipments in the third quarter of this year reached about 500 million units, an increase of 8.9%, accounting for 6.3% of the quarter for total global PC shipments. This achievement allows Apple to squeeze Asus, and the first among the world’s top five PC makers in history. But it is worth mentioning that, due to the lack of partner Intel’s new processor support, Apple’s Mac product line had to be taken to upgrade the memory, storage space, as well as other strategies to further reduce the price to attract consumers. Among them, MacBook Air’s price is reduced to a minimum of only $ 899 – in one fell swoop hit the lowest in the history of Apple laptop product price levels. First: Lenovo, the third-quarter shipments of 15.7 million units, up 11.2%, accounting for 20% of total global PC shipments, compared to 17.7 percent last year. Third: Dell, the third-quarter shipments of 10.4 million units, up 9.7 percent, accounting for 13.3% of total global PC shipments, compared to 11.9 percent last year. Fourth: Acer, the third-quarter shipments of 6.6 million units, up 11.4%, accounting for 8.4% of total global PC shipments, compared to 7.4 percent last year. After two generations ofthe system Windows 7 and Windows 8, just when everyone thought that Microsoft would follow all the way to sort of figure, but it ushered in an unexpected “surprise”: The next-generation system is not called Windows 9, but called Windows 10! This is why it? Is it because so named to better reflect the innovations of the new system? Wrong! Legend of the reason is quite nonsensical. One user on Reddit claiming to be Microsoft’s developers said that Microsoft had indeed intended to be a new system called Windows 9, but the test appeared an accident. The original, Windows 9 is short code in the system Windows 95 and Windows 98, so when the program see Windows 9 will recognize it as an old system, so Microsoft changed his name to Windows 10. If so, the programmers are lazy, just to mere numbers, ruined the name of the new system. In fact, similar problems occur on Windows history over several times, including Windows 2000, Windows 7, the latter’s internal code is Windows 6.1. History lazy on the computer trouble caused more and more serious, the most famous is “millennium bug”, in addition to hard drive capacity limit again and again event. However, Microsoft has not yet been give any official explanation for the name on the Windows 10, the above statement has yet to be verified. Sometimes, your computer will remind you that your drivers are dated, or some drivers are lost. And sometimes, the dated drivers will conflict with the system and new program. For some professional fans, such as PC gaming players, the good graphic and mouse, keyboard drivers will get the perfect gaming preference. And for Movie fans, the graphic and audio drivers must be suitable for the hardware to get high image/sound quality. So for these reasons, I think you need to update your drivers. For some people who haven’t know more about computer and computer driver knowledge, he need a software to help him to solve this problem. Because follow the “Device Manager” is a difficult thing and there had many things done, many steps, it will take you more time, sometimes you will not solve your problem. 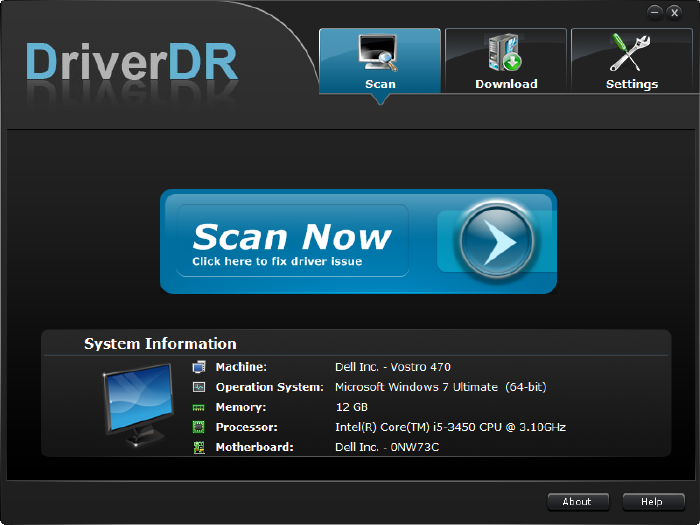 Here you can use the Driver Doctor, it is a professional and popular PC Driver Updater tool for you to solve driver update and driver lost, driver conflict problems. Install and run it on your computer. You will see the simple and friendly interface. Click “Scan” button to start scan your driver information. It will shows you how many drivers are normal, how many drivers dated, how many drivers lost, etc. Click “Get Drivers” to enter Download interface. 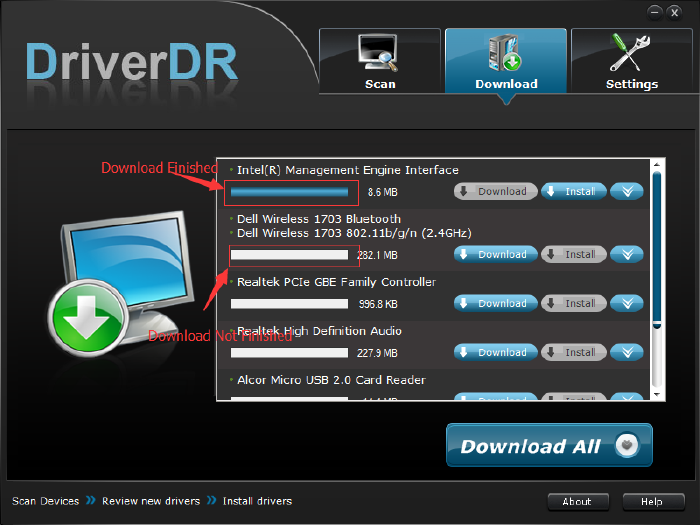 Click “Download All” button to start download drivers. You need to choose the drivers you want to update, and then click “Download” for a driver or “Download All” for all drivers. Click “Install” button to update your drivers. Here are all the steps for you to update PC drivers for your windows system. So you can update your graphic, audio, mouse, keyboard, Bluetooth, Camera, TouchPad, TV Tuner, Motherboard, Display and other drivers easily and fast. After October 31, 2014, Microsoft will no longer provide PC Partners with Windows 7 Home Basic Edition, Home Premium, Ultimate system pre-installed on new machines. This means, OEM vendors can only sell the above inventory of pre-installed Windows 7 version. However, these policies do not apply to Windows 7 Professional edition. In other words, Windows 7 Professional Edition not affect the deadline from October 31. Microsoft officials stressed that they have not identified Windows 7 Professional PC sales deadline. This is a good news for consumers and businesses. Another good news is that October 31 this deadline will not affect mainstream support for Windows 7 systems. Mainstream support for Windows 7 SP1 will expire on January 13, 2015, extended support as of January 14, 2020, before the extended support, Microsoft will continue to provide free security patches, do not rule out Microsoft extended support date. In the Mainstream Support phase, Microsoft provides free regular updates, including security fixes and other patches; into the Extended Support phase, security patches are still free, but you may pay for the other updates. For downgrade, the user can buy a new PC after the downgrade to a previous version of the system. For example, pre-installed Windows 8.1 Professional Edition PC can downgrade to Windows 7 Professional or Vista Business Edition. Microsoft Volume Licensing customers also don’t need to worry, you can downgrade to any previous version of Windows.